First Impressions : Broforce . 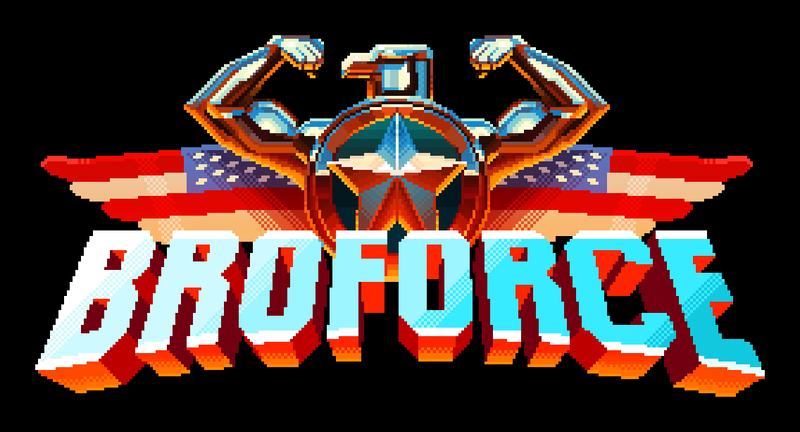 Broforce is a game that has been hyped a lot and with finally being greenlit on Steam’s Greenlight program is starting to see the light of day. Does it live up to all it’s hype or is it so far just another early access game to ignore? There really is no story to see in Broforce. The game plays out like Metal Slug with a fully destructible environment on crack. You start on the left of the level and you goal is to get the right side of it in piece while killing everything in between. Now what makes this game different you ask? This entire game is based around the love and premise of playing as your favorite 80’s – modern day action heroes! Instead of playing each level as some random character and just using him Broforce has you changing and unlocking characters several times a level. By collecting random prisoners you switch and unlock more characters. The characters are one of the best aspects of the game. Each controls different with different weapons and special attacks. For copyright reasons however they all have great names now. For instance you have Rambro (Rambo), Commandbro (Commando), and Bro Hard (Die Hard) to name a few. I’m holding off naming a ton of them since there are a few that are great surprises to see in game. As of right now there are a little over 20 different characters with more planned on coming. Since there isn’t a story there isn’t really a main mode to guide levels so instead it goes back to old school gaming where there is just a world map you progress on with. At the moment with the levels in the game by the character you can breeze through them all within a few hours top if you take your game. Some levels can be done in under a minute too if you get good at it. One feature though that in the future will prove that this games lifespan will be nonstop is a creative mode. You can make levels and from what I understand characters will be able to be added too in the future. One the game hits a full release we should see more levels made by users. 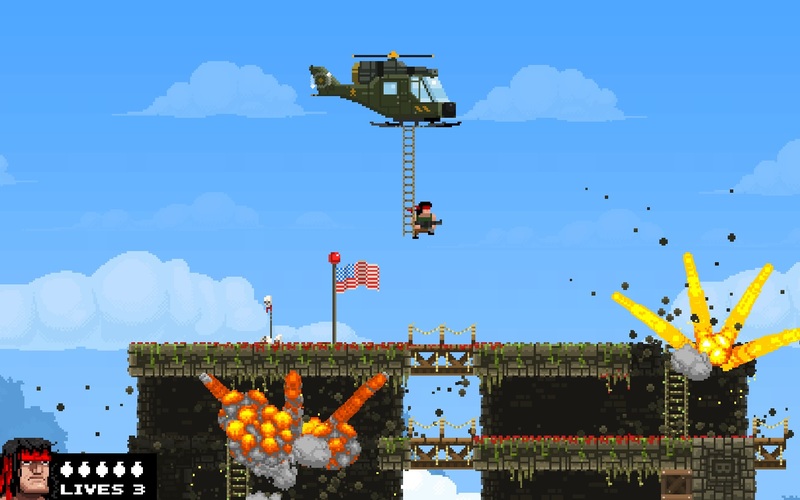 At this time even in a early access Broforce is fantastic. Even with only a few hours of game play it doesn’t feel like a game still being made, it almost just feels like a game with impending free DLC. I really can’t recommend this enough.